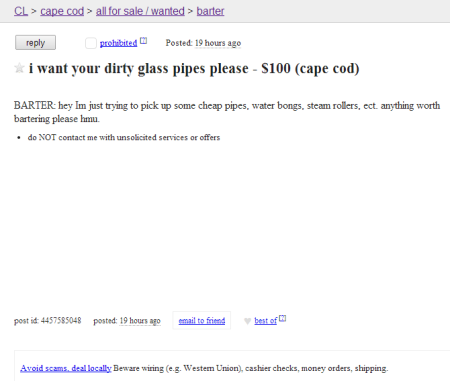 BARTER: hey Im just trying to pick up some cheap pipes, water bongs, steam rollers, ect. anything worth bartering please hmu. 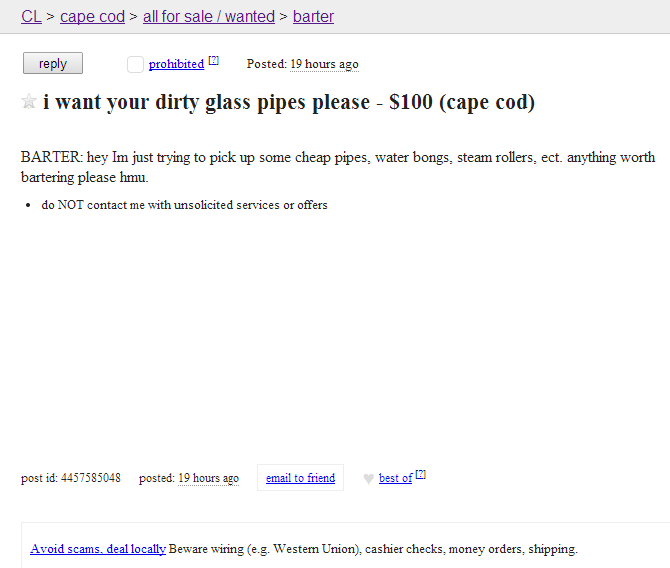 What are the chances that the person that posted this ad is a Real Cape reader? 4,327,918 % right? 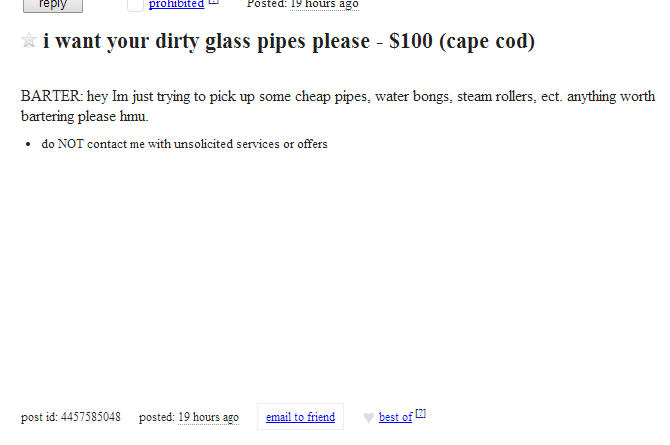 Only on Cape Cod do you get people looking for dirty pipes. Say what you will about us, but don’t ever say we aren’t polite. They did say please. 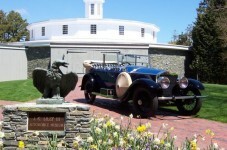 Please don’t ever change Cape Cod, we love you just the way you are. P.S. We are all about giving back to the community, so if you are reading this Mr. Dirty Glass Pipe Man, hit us up. 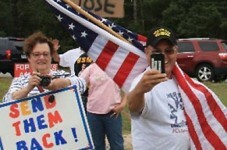 I’m sure The Glitter Ginger has an old steam roller in her closet.